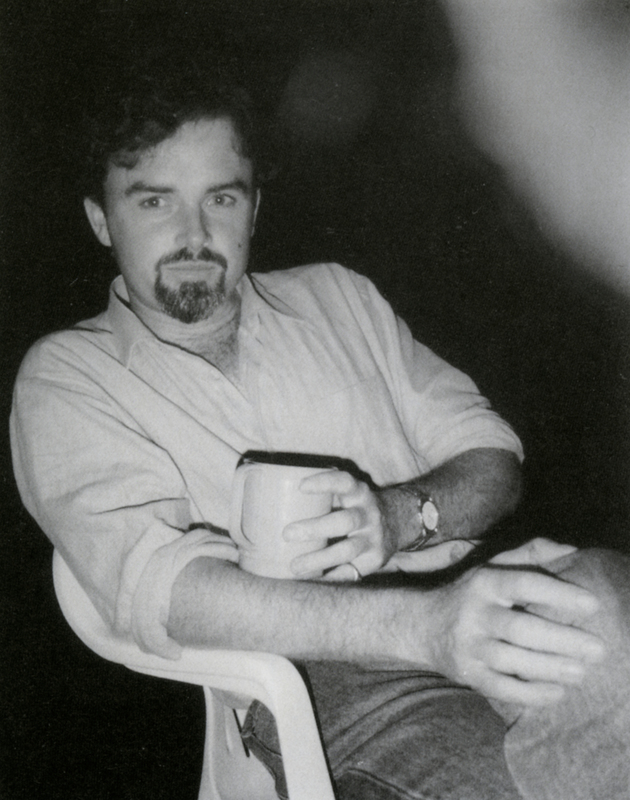 On the anniversary of the untimely and sudden death in 1995 of Ben Cullen, archaeologist and anthropologist. [Link] – the obituary I wrote for British Archaeology. Ben was a great energy and inspiration. He became a friend when I was just beginning my academic career, a graduate at Cambridge, then a Research Fellow in Paris before moving to University of Wales Lampeter. For both of us archaeology was, is an active engagement with remains of the past in the present. We shared a mission to understand how people connect with the things they make, to place people in the networks of others – other people, things, other species, environments – that make them who they are. Ours was, and is, a relational outlook, holding that it is in relations and connections, in actions and events, that we will find understanding – beyond what we see as separable individuals and their goods. I had explored some of this in my previous books, particularly Experiencing the Past [Link]. The notion of assemblage, worked through my discussions with Ben, studying the work of my wife Helen in ceramics, and in the wake of my encounter in Paris with French anthropology of technology and science (Latour, Lemonnier, Callon, Serres, Van der Leeuw) [Link], came to be a central component of my archaeological study of the Greek city states in the Mediterranean [Link] [Link]. How much has changed in archaeology over these two decades? Would Ben recognize the discipline in 2015? There’s no doubt he would, and he still has much to contribute. Archaeology – what’s on the agenda? So what’s on the current archaeological agenda? Julian Thomas has just written a clean and succinct overview of debates in the journal Antiquity – [Link]. I’ve compared this with the collection of Ben’s writings edited by James Steele, Richard Cullen and Chris Chippendale in 2000 (and published by Oxbow books) – [Link]. So often in our understanding of history we separate biology from the world of goods, from the material world of things, and from culture. A biologist might help understand the domestication of sheep in early farming communities; a humanities scholar is more likely to study something like the iconography of figurines; a social scientist the organization of labor. Ben’s archaeology took up the challenge of integrating such different approaches; it was aimed at reconnecting people, things, other species, ecologies and environments in our accounts of how we’ve come to be where we are now, and with a prospect on what can come next. His target was the separation of cultural and biological evolution — the genealogies of things and of species. Ben focused on what biology and culture have in common – processes of maintenance and reproduction, transmission and change. His was a Darwinian perspective, applied to a redefinition of living systems as networks of heterogeneous components, as I would put it, that regularly share and exchange properties according to the particular workings, local environment, and history. His way of reconciling living organic and inert things was, brilliantly, to put to one side the old and obvious distinction between the living and the dead, and instead to consider what they have in common. Outrageously he proposed that viruses are the paradigm for such interstitial being. Neither living nor dead, viral phenomena are both in their reproduction, and in their ecological connecting. Culture is viral! People are living beings, and machine-like assemblages of working parts, and networked, connected ecological components. Things and artifacts are material compositions, and can hold agency, affecting the (human) world around them, in organic symbiosis. Julian lists some features of current directions in archaeological theory. It’s clear that Ben was already working on much of this, and with a startling originality. There’s a “new materialism” in discussion. This is a challenge to an anthropocentric view of history – the notion that understanding history comes down to understanding people. A new materialism (although it’s not actually new) puts people in material context (of bodies, matter, artifacts). New materialism is part of post-humanism. What is this post-humanism? It’s about connecting people with worlds of goods, seeing people as collectives, distributed through their material worlds of bodies, artifacts, environments. With Bjørnar Olsen, Tim Webmoor and Chris Witmore I’ve outlined much of this in our book – Archaeology: the Discipline of Things [Link]. Key to this position is a challenge to what I’ve called the fallacy of expression. Typically historians, archaeologists, anthropologists use what they observe of people, through sources, remains, and in ethnography, to get to what they’re really interested in – the logic of history, social structure and change, the meaning of things, the causes of events, individual intention and agency, for example. What people do, what they make, are here treated as representatives, derivatives expressing some deeper, primary or more abstract logic (typically anthropocentric). A post-humanist materialist perspective focuses as much on the things and things done as upon some underlying logic: in this it can be called a pragmatology (where pragmata are “things and things done”). In connecting people and life worlds of others, a premise, at least for some, is that for as long as we’ve been human we have been amalgams of organic and synthetic matter. The cyborg, cybernetic organism, is not a figure of science fiction – we’ve always been cyborgs! Under a relational perspective, it has never been the case that people are separable from the things they make, use, interact with – people are always already wrapped up in things, dispersed through assemblages of others. These assemblages are of heterogeneous components – bodies, species, artifacts, things in articulation. Mechanic and organic, cybernetic and symbiotic. People get on with things and with other species. Rather than a hierarchy of determinism or primacy (holding, for example, that biology or the forces of production are where it all starts), we’re seeing in archaeological theory a preference for “flat ontologies” that accord primacy to no particular component, stressing instead relationships and interactions. Such flat ontologies are sometimes otherwise connected with a “principle of symmetry” – people and things on equal level [Link] [Link]. How are we to explain these heterogeneous assemblages, past and present? Typically archaeologists, historians, anthropologists seek strong correlation or correspondence between their explanations and interpretations and what it is they’re trying to explain or interpret. Julian points out that we’re seeing less emphasis upon this kind of cognitive harmony. Archaeologists have always stressed the importance of description, of witnessing and making manifest the past, as much as bringing it under an explanation, narrative or explanation. This crucial part of the discipline is receiving new acknowledgement. Archaeologists are interested in material remains. New too is an acceptance that the material world can never be brought completely under the control of an explanation or narrative. There’s always cognitive dissonance in our attempts to understand. This also applies to any field – making and manufacture are always rooted in imperfect understanding. The clay that the potter is working with always will react somewhat unpredictably. Reality always withholds something, is always strange in spite of our attempts at domestication – there is always something beyond interpretation and explanation. That we can’t wholly know reality is just something to be accepted as part of the human condition. It doesn’t mean we are locked into worlds of merely our human perception. Archaeologists, as a kind of craft worker like the potter [Link], engage with the world, get out into the field, collect and bring back things and data to work on. Archaeologists get on with things, working with what they have, with what remains. Julian rightly says that this is the foundation of a realist epistemology. Ben’s cultural virus theory had much in common with the memes of Richard Dawkins – a concept first introduced in the 1970s. A foundation for much of what we are seeing debated in current archaeological theory is that field of science and technology studies that has so blossomed since the 1980s – studying how people research things and materials, how they make and manufacture, from the fine arts to hi tech. The heart of Ben’s anthropology was, in contrast, symbiosis, and this is what leads to some wonderful insights, precisely addressing these current concerns in archaeological theory. Religious dogma as predatory parasite! Artifact assemblages as eusocial communities, like ants or naked mole rats! Pots as sterile operatives, a sterile caste performing cultural work in a distributed collective organism! Was Ben ahead of his time? No. I am uncomfortable with the accounts we read of disciplines like archaeology that plot changes in thinking as a story of cognitive progress, of bodies of thinking, typically designated as “isms” (materialism, processualism, realism et al), that emerge and then subside. If we are seeing a new materialism in archaeology, then it’s a return of old debates. What Julian so effectively sketches in his summary of new archaeological theory has actually all been part of debate in archaeology and beyond since the formalization of the field in the nineteenth century and even before. On this you can read his excellent book Archaeology and Modernity [Link]. What is somewhat disturbing is that many of those debating archaeological theory (and many other academic fields) seem quite unaware of the roots, the genealogy and history of debate about these issues. Certainly the current debates summarized by Julian make virtually no reference to publication before 2000. Some of this will be due to sloppy scholarship. Most, I suggest, is down to the pressure in academia to be original in contributing to current debates. And if you want to contribute to a debate about materialism by discussing vitalism in nineteenth century art history, you’re not going to appear topical and modish – you’re going to look like a historian of ideas. If you want to appear academically engaged in current debate, essential for an aspiring career, there is simply no value to be gained in citing older debate. It might be too blunt to say that much academic debate is less about ideas and more about debate. Yet let me say this is something of the message that comes out of a book I edited about archaeological debate – Archaeology in the Making [Link]. Over ten years I interviewed a host of archaeologists with Bill Rathje and then with Chris Witmore. Rather than a story of different ideas, paradigms, theories and methods competing for success in explaining and interpreting the archaeological past, archaeology appeared, through the detailed accounts of our interviewees, as precisely what archaeologists do. They pursue careers, plan and manage projects, and yes, debate ideas. What we found archaeology to be was a very human story held together by a shared engagement with the past, a common fascination with what might be done with the remains of the past in the present, a fascination that has a very long history. The key word, again, is engagement. Rather than focus on the negative aspect of this current debate, its scholarly myopia, we can take a very positive view of the same. The future of archaeological theory is all the more secure since it’s not new at all. Forms of materialism, the attempt to take in effective description of human relationships with artifacts through history, the attention being given to materialities of artifact, body, making, are what have always inspired fields like archaeology. This is what it means to be engaged with the past. And Ben was certainly exceptional in the focus of his engagement, not actually so much with archaeology per se, but with archaeology in its anthropological perspective on human being, which is also to say, for Ben, symbiosis. And it was in that notion of symbiosis that lay Ben’s originality – the co-existence of people and others, living communities of the animate and inanimate, the vital and the inert, tangible and intangible. What might all of this materialist archaeology look like? 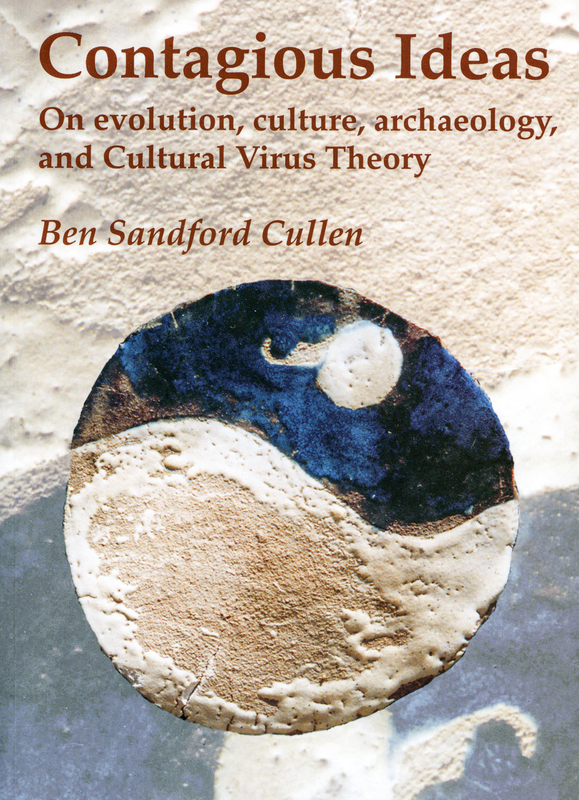 Ben’s writings can be vivid in their unpacking of viral symbiosis. But we have seen little experiment, of course, in the academy. The debates discussed by Julian are primarily academic. We can certainly note that academic archaeology has always been connected with what was once called antiquarianism, is now the culture of collecting, the art gallery and museum, the heritage industry [Link]. David Lowenthal’s classic account of attitudes towards the archaeological aspects of life has recently been published in second edition and takes us in all manner of fruitful directions [Link]. I’ve explored at length on this web site notions of this archaeological imagination [Link]. And think of symbiosis – I suggest that, beyond archaeological theory, this is a vital concept. Artificially intelligent machines and devices are populating the smart cities and homes of a world facing unprecedented challenges regarding life with others. I know that Ben would have been thinking about all of this – and that’s another story of his memory that I’ll take up on another occasion. Thank you for these thoughts, Michael. Ben was a dear friend; we shared an office at the University of Sydney, and probably spent far too much time talking about our lives and not enough working on our PhDs. Still think of him and miss him. Sad to hear of Ian’s passing too.